Tired of waiting for things to change in life? Want to shift old patterns and do things differently? The changes we are looking for in our lives rarely happen ‘out of the blue’. We ourselves have to ‘do’ the change we seek. With a few surprisingly simple strategies and suggestions, we can be proactive change-agents for ourselves and for others. Originally published under the title Healing the Whole Person, this classic text by Rob McNeilly, a pioneer in the field of solution-orientated therapy, is not only for therapists and counsellors, but also for educators, social workers, parents, couples, and anyone interested in bringing about change by doing things differently. This revised edition of McNeilly’s book explores the way our emotions, our words and our body influence each other. It also includes intriguing, moving, inspiring and sometimes amusing stories and conversations from a master therapist’s practice. Doing Change includes questions, practical suggestions and activities for: relieving stress, anxiety and depression, changing patterns and shifting habits, regenerating relationships and… getting better sleep! First published by Wiley and Sons in 2000 as Healing the Whole Person. Robert McNeilly has written a jewel of a book. I am not sure he even realizes how valuable and creative his work is, because he doesn’t call attention to his creativity, rather he treats his innovative interventions as almost commonplace. They are not. Bill O’Hanlon, who wrote the foreword, recognizes the creative and comprehensive changes McNeilly is inviting us to make, and, in so many words, O’Hanlon lets you know. McNeilly is too humble to suggest anything of the sort, even though he offers a clear new way to think about inducing trance without induction or even acknowledging that there has been a hypnotic intervention. It is nothing short of genius. This book is a reprint of Healing the Whole Person: A Solution-Focused Approach to Language, Emotion, and Action in Therapy (Wiley, 2000). Since learning of McNeilly’s story of healing a woman with bulimia, I have used it on numerous occasions to teach the profoundness of a couple of sentences. When you read the story it’s clear the woman isn’t going to purge anymore, and readers now have a schema for helping others. Throughout the book, over and over, McNeilly gives tools that will revolutionize a therapist’s work. Yes, he is building on the work of other therapists such as Erickson, O’Hanlon, and de Shazer, but he is doing it with a hypnotic understanding that advances the way we can offer brief interventions. The work he has done that he gleaned from Milton H. Erickson is evident, as he smoothly weaves words that combine constructionist thinking with solution-focused approaches—an approach delivered by a master hypnotist. Many of the interventions are similar to those of Milton Erickson—teaching indirectly and directly at the same time. Readers may or may not see how many different layers there are to his work because he makes it look simple, and it is for him. But this is like saying painting was easy for Picasso. The book includes seven chapters and covers language, emotions in counseling, emotional and body interventions, strategies, declaration as pathways to solutions, and the evolution of ethics. 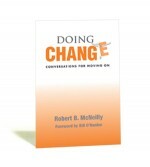 In each chapter McNeilly offers useful tools with explicit instructions for how to initiate genuine change. In addition, blocks strewn throughout the book offer questions and bits of wisdoms which are quite helpful. Every point is punctuated by client stories of profound change that happened in moments. If you were reading the book only for those stories it would be worth it. McNeilly’s way of thinking about words, interventions, and solutions is a unique synthesis. But the instruction is even more valuable than the stories because it teaches you how to fish, instead of just giving you a fish. While reading this book I was so inspired I found myself commenting to colleagues about the book, and how useful it is. McNeilly’s well written, clear and straightforward book also has such depth that both beginner and experienced therapist can read the same book and get some of the same ideas, but understand completely different concepts. ‘Want to learn about both the essence and artistry of counselling? McNeilly shows, rather than tells, you how to do it—and, more importantly, how to do it effectively. Grounded in the dynamic, interactive relationship between language, body and emotions this book is not only an enjoyable read but also a constructive goal-oriented approach for finding one’s way through the maze of human emotions. Psychotherapist, educator and writer Robert McNeilly is at the forefront of the evolution of communication and change. He has an understanding of human behaviour, developed through his career as a family physician, founding The Center of Effective Therapies and his work as a psychotherapist, teacher and educator. He has combined his knowledge from clinical practice, along with his experience as a trainer and educator, to write a book that clearly demonstrates to the reader the application and the principles of solution-focused psychotherapy. His association with Milton Erickson inspired Robert, and this association is reflected in his book where he combines language techniques from Milton Erikson, Steve de Shazer and Bill O’Hanlon. The book explains and explores language and the art of conversation. The reader is encouraged to examine the use of words and the impact conversation has on others. The outcome of a psychotherapy session is most often determined by the way the practitioner develops the conversation with the client. There are examples of questions and responses in the book that allow for conversations to become positive and optimistic. These conversations assist people to seek positive solutions for their concerns. To learn to enjoy language and conversation and to expand on the art of conversation is an essential aspect of improving counselling skills. How these improvements in language and expression will lead to positive outcomes both for the client and the therapist are explained in the book. In Doing Change: Conversations for Moving On there are chapters devoted to assisting the counsellor and psychotherapist to develop the abilities to work with the body and emotions. However, the author promotes interconnectedness of language, the emotions and the body. Robert provides ideas, regarding working with emotions and the body and there are interesting examples of this work and techniques that can be applied in the clinical setting. The book pays attention to the fact that brief therapy is not superficial and harsh. Robert describes his work and portrays to the reader his compassion, creativity and humor that is an important aspect of this practice, leading to people finding satisfactory solutions. By exploring health and the functional aspects of life, therapist can assist people to find solutions to their concerns. So much of the training of health professionals involves learning about and treating pathology and the whole person is often ignored. Valuing wholeness is a refreshing change from a world that is inclined to patholagising the human condition. Robert acknowledges how resourceful and skillful human beings are, and how minimum intervention can assist people to find their own resources. The therapist, as a companion, can assist in guiding people to finding creative solutions from their own resources. The book provides simple exercises to assist to build positive outlooks and behaviours without having to necessarily look into ‘Why?’ and extensive exploration of the past. However, when the past is in the way of the present and future planning, these areas of life are also addressed in solution-orientated psychotherapy. The strength and experience of the client is used to manage or resolve the past. Areas such as creating a therapeutic relationship, dealing with stress, treating depression, fostering healthy relationships; relaxation and sleep are addresses with simple and effective solutions. There are guidelines, examples and suggestions. All of these are easily applied in the day to day life, of a counsellor and the client. This book will be a welcomed addition to a practitioner’s library. Doing Change: Conversations for Moving On offers an art that can be developed by using the exercises and notions explained in the book. Psychotherapists, counsellors and health workers will find that there are many aspects of this work that can be incorporated into the clinical setting. Easily followed instructions, in addition to interesting and innovative solutions, result in a book that is congruent, demonstrating consistency between Robert McNeilly’s ideas and practice. Review by Annette Fisher who is a psychotherapist and counsellor in private practice. Director of the Psychodrama Training Institute of the ACT, the President of the Australian National Network of Counsellors, a psychodrama trainer, educator and practitioner and an occupational therapist. Once in a while I look at my bookshelf and wonder if I ought to stop reading new books for a while. If I only mastered what I have, surely that would be enough to fill one or more lifetimes. But, invariably I’m seduced by a new title and that was the case with Doing Change: Conversations for Moving On by Robert McNeilly. After 25 years of seeing wave after wave of counseling approaches that claim to do miracles, I’ve become something of a skeptic. However, I have become familiar with McNeilly’s work and find resonance with his thinking. In addition, he doesn’t claim to do miracles, so I decided to give him a try. The first 50 pages present a summary of solution-focused therapy. There is not much new here, however it is a very real readable summary and lays the groundwork for what is to come. The rest of the book presents an application of solution-focused principles that differs from the bulk of solution-focused writing in that the primary topic is the emotions and how to use them to foster therapeutic change. In McNeilly’s words: ‘by observing the body in a variety of undesirable emotional states, we can speculate about what emotion the client may prefer; then, by shifting the body into that position, we can facilitate the emergence of that preferred emotion.’ McNeilly discusses many emotions in detail and presents detailed instructions on how he reads clients bodies. He then clearly explains how he intervenes to evoke different emotions by suggesting that the client change posture, facial expression, etc. Interventions are illuminated with numerous case examples. This result is a unique mixture of Milton Erickson, solution-focused therapy and Robert McNeilly. If finding a new tool for teaching clients to access their own resources appeals to you, you are likely to find this book valuable. As much as I enjoy being challenged to work in different ways, this is not the main reason I like this book. McNeilly cites research to support the claim that only 15 percent of the successes in counselling is the result of the therapist’s technique. Of the techniques he recommends, McNeilly says, ‘This guide is offered, not as a substitute for the many effective approaches already used, but as an additional tool, for the more options we can offer our clients, the more useful we will be to them…’ McNeilly understands that the relationship between therapist and client is far more important than technique. What I like most about this book is that the character of McNeilly comes through his writing. His straightforward and unpretentious presentation makes it easy to understand how he is able to develop a therapeutic relationship with his clients. Of particular interest is the way McNeilly uses his humor and personal experiences to develop a personal and warm. I get a very strong sense that McNeilly feels he is in the struggle on the side of his clients rather than struggling with them. I think there is still room on my bookshelf for any book that can help me learn more about doing that. 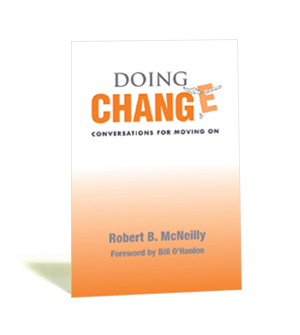 Doing Change: Conversations for Moving On by Robert McNeilly, a Melbourne psychotherapist, is a presentation of some of the central tenets of solution-oriented therapy as he has come to practise it. Focussing largely on language, the book also has extended chapters on emotion and action as seen from the therapeutic context, and two small closing chapters on affirmations and declarations, and on ethics. McNeilly begins by stating that ‘There has been a change in our social values away from an archaeological digging up of the past toward designing future options’ (p. xvii). However he is careful not to discard the old through mere infatuation with the new, cautioning that ‘Solution-oriented therapy is another effective tool to choose when we work with clients. Older more time intensive methods such as psychoanalysis may sometimes be warranted but not always’ He then presents the strategies that he has found to be useful. What is new about Doing Change: Conversations for Moving On is McNeilly’s focus on language; the chapters on emotion and action contain much that has been said before, although seldom so elegantly. But much of the book comes down to a discussion of the linguistic category of ‘performatives’, although McNeilly nowhere uses that term. A performative may be a comment such as ‘It’s very warm in here’, for which the proper response as understood by native speakers is an action such as opening the window to cool the room down. Such a remark is understood as a request or command due to the background understandings of both speaker and listener, but the request or command to action is not implicit in the words. Hence to ask ‘How is your problem today?’ results in a focussing of attention on the problem whereas to ask ‘What improvements have you noticed this week?’ inclines the attention, and also, McNeilly would argue, action and emotion, towards solutions. I found McNeilly’s discussion of presuppositional questions both striking and novel. A question such as ‘What is good about this book?’ presupposes that one has indeed noticed something good, whereas a question like ‘Is this a good book?’ invites negativity, and a statement such as ‘This is a good book’ almost challenges an argument. McNeilly is at his best when discussing these atoms of therapeutic conversation and showing their larger implications. Perhaps the loveliest thing about Doing Change: Conversations for Moving On, and which clearly lifts it above similar works, is the directness and simplicity with which McNeilly presents his argument. 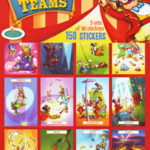 There are dozens of boxes embedded in the text, each containing examples and exercises which invite the reader to test the ideas presented. With some lovely anecdotes and a very simple style, all in all this is the most straightforward introduction to solution-oriented therapy I have seen. 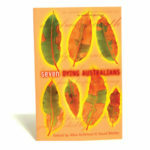 Doing Change: Conversations for Moving On is a timely addition to the professional literature. Well conceived and artfully written, it offers to both the novice and advanced therapist a vision of faith—faith in the ability of clients to change, faith in the ability of clinicians to promote change. Eminently practical and always on target. Highly recommended. Very impressive. You have shown, in a practical way, with your vignettes, personal and otherwise, that we can language … and I like the demonstration of this in your examples. I see therapy as being the unconcealing (Heidegger’s uses the word aletheia = truth) and revealing the being concealed. Your techniques allow for the unconcealment of the truth about the other in such a way that they see that they are able and can express themselves through a truthful expression of themselves which is also always an expression of love, since this is at the core of our being. Traditional therapy locks one into getting better, but you have explored that in your book. You are inviting a step beyond that, to a recognition of the truth about oneself which psychologising masks.